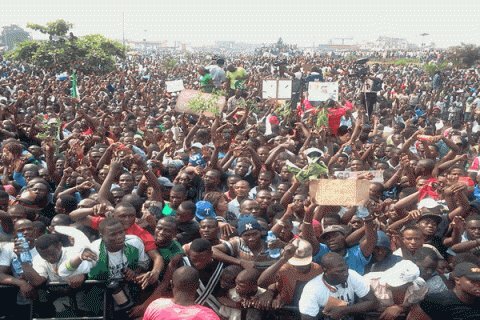 Fight for N30,000 National Minimum Wage!! The recent National Council of State proposal of N27,000 as the new national minimum wage is totally unacceptable and should be categorically rejected by the trade unions. It was obvious all along that the government did not bargain in good faith during what turned out to be the longest tripartite negotiation for an upward review of wages in the country. It needs to be made clear that a minimum wage is the minimum amount of remuneration that an employer is required to pay wage earners for the work performed during a given period, for the worker to be able to keep body and soul together, in the most minimal sense. 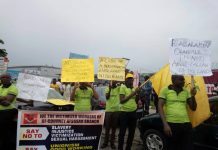 Nigerian bosses, including governors, have gotten away with paying starvation wages as minimum wages. Emboldened by this, and worse still also getting away with owing workers months in backpay, they have now gone ahead to push for death wages. The trade unions should make it absolutely clear that enough is enough. An indefinite general strike should be called immediately to put pressure on the National Assembly so that it sets aside the NCS’ proposal and passes N30,000 as the new national minimum wage. It is interesting to note that employers did not start paying minimum wages out of benevolence anywhere. On the contrary, employers are inclined to pay workers as little as they can get away with, so as to make more profit. But trade unions fought for and won the right to minimum wage as a concession from the bosses, to prevent the least paid workers from starving. 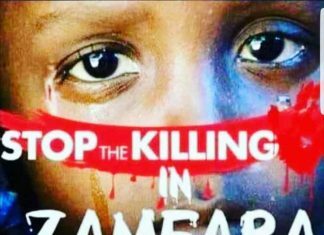 This struggle was first waged and won was in 1894 New Zealand and subsequently instituted in that country and over 100 others. In Nigeria, we have had to fight the battle over and over again to win what amounts to constantly declining wages. The struggle for decent pay for the working class has always met with stiff resistance from the ruling class. This is despite the fact that the gap between the rich and poor is one of the widest in the world. Wages that are supposed to be a fair day’s wages for a fair day’s work, in reality, hardly covers the sum required to procure basic needs that are necessary to keep the workers in working order. When Nigeria ushered in a democratic civilian era in 1979, there was a pay raise for political leaders. 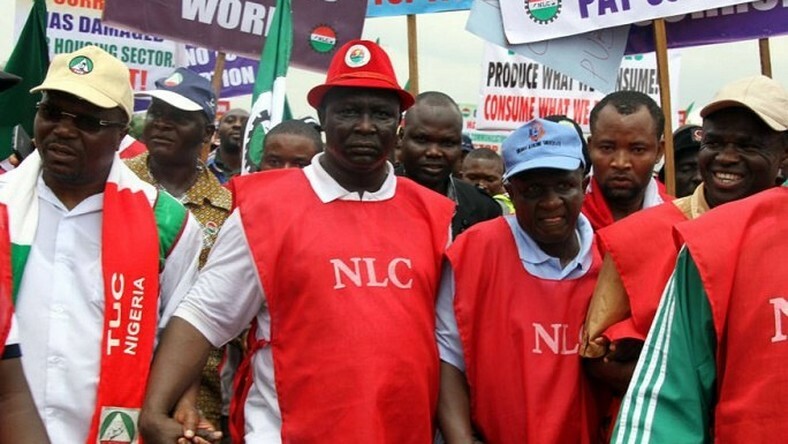 Labour, under the Comrade Hassan Sunmonu-led NLC, began mobilization for a new minimum wage agitation immediately. Labour demanded for N300 per month minimum as wage in 1981. The result of this was a nationwide strike, which culminated in President Shehu Shagari and the Hassan Sunmonu-led executives agreeing to N125 per month pay package. In 1989/90, another negotiation came up to demand upward review of the national minimum wage. Late Pascal Bafyau was the President of NLC. The consultation ended and resulted in N250 as national minimum wage. During the military regime of General Abdulsalami Abubakar, Nigerian workers demanded another increase in wages, through their unions and the National Joint Public Service Negotiating Council (NJPSNC) because the NLC was under proscription. The national minimum wage was successfully increased to N3,000 in 1998. Following a successful transfer of power to the civilian wing of the ruling class, with President Olusegun Obasanjo as president, the newly unbanned NLC demanded further upward review of wages as the 1998 increment had been completely eroded in real terms by inflation. It won N5,500 as minimum wage for state workers and N7,500 for federal workers and those in oil-producing states in the year 2000. There were provisions that by 2002 there would be a 15 percent increase across the board and a 25 percent increase in 2003. But as is characteristic of the bosses, these concessions were not fulfilled. However, the current N18,000 minimum wage was won in 2011. Even then, in Socialist Worker Bulletin we joined millions of rank and file workers in rejecting that paltry amount. But, in terms of purchasing power, or the real worth of the wages, the N18,000 in 2011 was 165% higher than the insult of N27,000 being proposed, as shown in the table below. Even the cost of feeding a dog in the households of any of the gentlemen of the NCS would gulp more than double that amount weekly. The trade union movement must not rest on its oars in this matter. It has to fight to ensure the passing of N30,000 which in itself is an unfortunate compromise. And it also has to fight to ensure the payment of this. 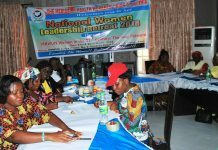 Several state governors and even some employers in the private sector refused to pay the N18,000. But not once did the unions mobilise to invoke the penalties stated in the 2011 National Minimum Wage Act. For example, the penalty for failing to pay minimum wage is N20,000 while the penalty for every additional day the default continues is N1,000. We must not let the bosses get away with abandoning their own laws against our interests and very lives, again. The first step in this direction is to fight against the NCS’ proposal in a resolute manner. Not only has the value of the naira fallen to an extent that with even N30,000, a worker can purchase just about 60% of what s/he could have purchased in 2011. Increases in the prices of petroleum products and electricity tariffs by the APC government have also increased the general costs of living. The trade unions must not allow themselves to be hoodwinked once again. There can be no two ways about it. 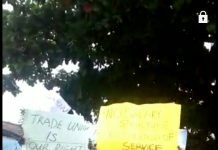 What is to be done is an indefinite general strike until the government assents to N30,000 as the new national minimum wage, with immediate effect. Next article100 Years On: Luxembourg & Liebknecht Live! Fight Against Repression in Bi-Courtney!